Chennaistayz is the name of serviced apartment in vadapalani , Chennai. It does providing excellent hospitality services, house rentals and guest house. 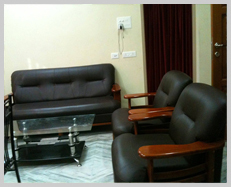 It is well known serviced apartments in vadapalani because of it’s location and customer satisfaction. Everybody knew vadapalani is the business place in Chennai, covered forum mall, hospitals, compnies, theatres and other entertainment places. It is located and customers to get reachable distance place from metro train station, murugan temple, Forum vijaya mall, theatres, bus terminals, and other places. Chennalstayz allows families, couples, single man or women. Because of we trust the people who are in critical and emergency situations. Our tariff is best price in property rental industry. We are getting customer reviews positively from tripadvisor portal. All the rooms are elegantly furnished and designed with simplicity . The kitchen is fully furnished too. The living area comes with a dining space. The bedrooms are air conditioned with attached bathrooms. Your safety is our prime responsibility, and that s why we have direct dialing facility and a 24 hours security at ChennaiStayz. Location! The most important factor of a travel stay. Whether you are travelling on business or for leisure, it is essential that you are close to amenities and well connected by excellent travel links. By hand-picking each of our serviced accommodation, we can guarantee that your serviced apartment will be the most convenient choice for your stay – whatever its purpose and duration be. 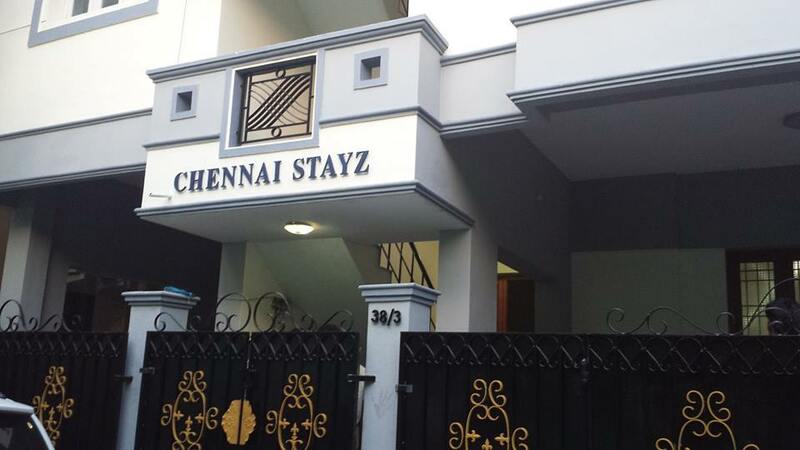 Whether it’s for a week away with your family or to accommodate one individual for a short-stay on business, or several large groups from corporate housing for an interim contract or business relocation, Chennai StayZ has a serviced accommodation solution to meet all kinds of your needs. Our dedicated team deliver nothing less than service excellence – from meticulous standards of housekeeping, through to a streamlined reservations process. It’s hassle free. Business travel doesn’t have to be a chore. Choose an executive serviced apartment, sit back and relax! Whether you are staying a few nights or much longer, booking a serviced apartment will ensure that your business stay is hassle-free, your space, your time, your choice. More space and more facilities. Is what a serviced apartment is all about. 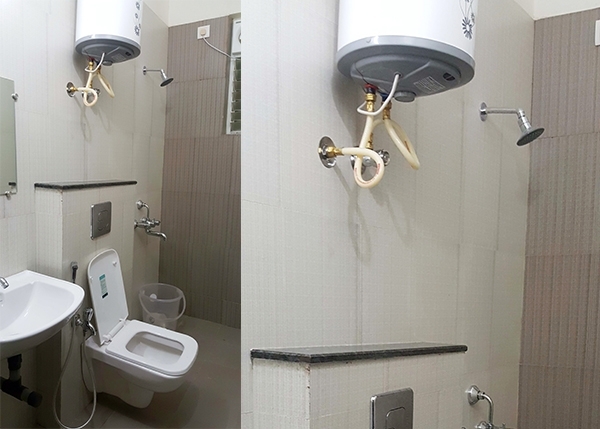 A service apartments in chennai delivers so much more than a hotel. Expect complimentary internet, secure entry systems, a fully equipped kitchen, including fridge/freezer, washer/dryer, dishwasher and television – all as standard. Space to relax, space to work, space to sleep – however you use it, it’s your space at your service. There is a huge difference between staying in a small hotel room which is so expensive and staying in fully furnished apartment with all amenities and freedom, at unbelievable rates. When you stay and work away from your home the feeling at home even when you’re away from home has to seep in you. ChennaiStayz Serviced Apartment offers you, Studio type, 1BHK, 2BHK, 3 BHK apartments till 8 BHK. 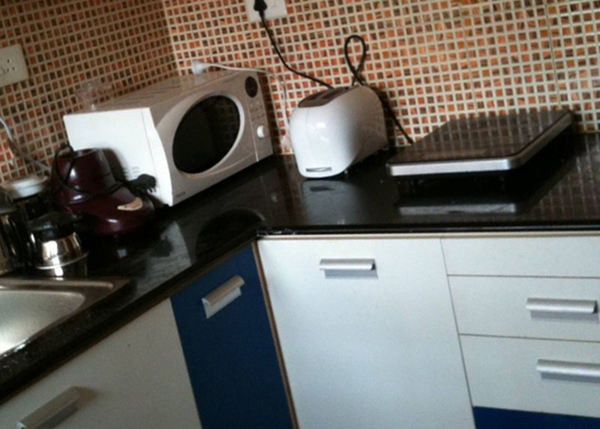 Each apartment has been spaciously designed with quality fittings and services. A serviced apartment represents greater value for money and a better place to stay compared to traditional small hotel rooms. Chennai StayZ provides stylish and spacious serviced apartments. . All our serviced apartments are centrally located close to transport links, shops and restaurants and every apartment offers fully equipped kitchens, flat screen TVs with DHL connections, unlimited free broadband internet and high levels of security and safety. Our 24 hour guest services team will make sure you have everything you need for a comfortable stay, working day and night for your peace of mind. Our dedicated team works tirelessly with you and for you. Like taking care of your travel management, relocation, departments to provide quality serviced accommodation within your budget and to your timescales. Whether you need to accommodate senior executives or project teams, ChennaiStayz has all kinds chennai service apartment solution to meet your needs. And as we own and have access to the majority of our accommodation portfolio we really are able to fully guarantee the comfort and well-being of your employees. Customer satisfaction is our first priority and we take pride in delivering high standards of accommodation and a consistently positive customer experience. Choose a Guest houses chennai? The inherent flexibility of a serviced apartment means you do not have to compromise on any level. Stay in and entertain your guests from a fully equipped kitchen, relax after a long day of meetings or take advantage of the surrounding nightlife – the choice is yours. Often more affordable than a hotel, the value of having your own space is priceless. More space and more facilities. Is what a serviced apartment is all about. A serviced apartment delivers so much more than a hotel. Expect complimentary internet, secure entry systems, a fully equipped kitchen, including fridge/freezer, washer/dryer, dishwasher and television – all as standard. Space to relax, space to work, space to sleep – however you use it, it’s your space at your service. Its all about feeling at home even when you’re away from home with your own kitchen, dining, bedroom and laundry. 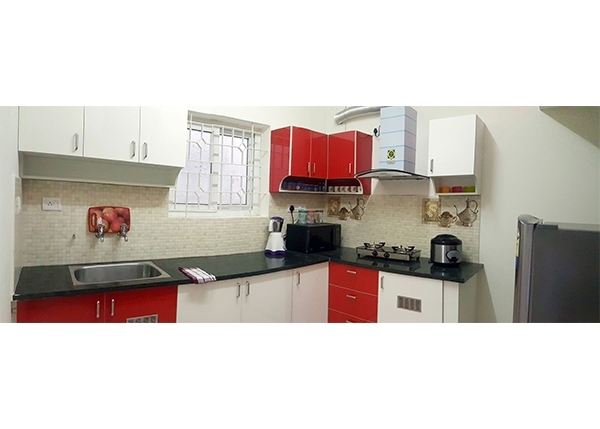 ChennaiStayz Serviced Apartment offers you, Studio type, 1BHK, 2BHK or 3 BHK apartments till 8 BHK rooms. Each apartment has been spaciously designed with quality fittings and services A serviced apartment represents greater value for money and a better place to stay compared to traditional small hotel rooms. 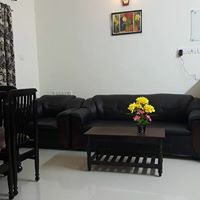 Chennai StayZ provides stylish and spacious serviced apartments. . All our serviced apartments are centrally located close to transport links, shops and restaurants and all offer fully equipped kitchens, flat screen TVs with DHL connections, unlimited free broadband internet and high levels of security and safety. Our 24 hour guest services team will make sure you have everything you need for a comfortable stay, working day and night for your peace of mind. Our dedicated team works tirelessly with you, your travel management, relocation, departments to provide quality serviced accommodation within your budget and to your timescales. Whether you need to accommodate senior executives or project teams, ChennaiStayz has all kinds serviced accommodation solution to meet your needs. And as we own and have access to the majority of our accommodation portfolio we really are able to fully guarantee the comfort and well-being of your employees. Customer satisfaction is our first priority and we take pride in delivering high standards of accommodation and a consistently positive customer experience. Location, location, location. Whether you are travelling on business or for leisure, it is essential that you are close to amenities and well connected by excellent travel links. By hand-picking each of our serviced accommodation, we can guarantee that your serviced apartment will be the most convenient choice for your stay – whatever its purpose and duration be. 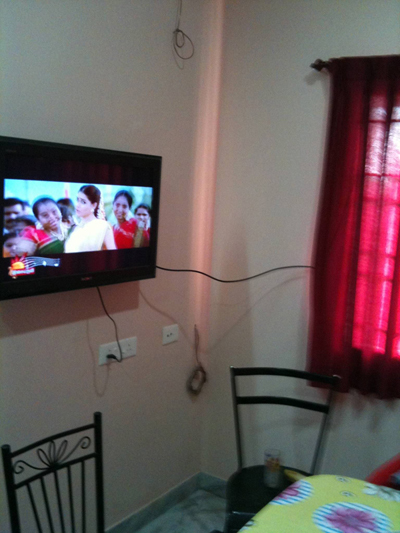 In our serviced apartments Chennai StayZ you can live to your own timetable, doing what you want, when you want. So, if this means washing your clothes at midnight, eating breakfast at the crack of dawn, or relaxing with a takeaway in front of the TV after a long day – feel free! Relax, enjoy and be at Home. For leisure, serviced apartments are a welcome alternative to a hotel for today’s leisure travellers and those visiting family and friends. Our selection of contemporary executive suites and one and two-bedroom serviced accommodation is first choice for visitors to the city looking for more space and flexibility. We at ChennaiStayZ offer you a unique home away home environment, including fully equipped kitchens, stylish living areas, broadband – the list goes on! As well as not having to rely on restaurants or room service, there’s also no hotel timetable to stick to; make breakfast when you want, wash your clothes at no extra cost, order a takeaway, invite friends over – it’s just like home! With greater freedom and more privacy than a hotel, there’s no contest. The reasons people stay in serviced apartments are varied – they are visiting family or friends who don’t have the room to put them up, they’re on a weekend shopping trip, they want a stopover after a long journey or a base after a hectic day visiting theme parks. The reasons people choose Chennai StayZ are always the same – they want service excellence, independence, flexibility and value. Serviced apartments provide a hassle free accommodation solution with no hidden extras like gas or electricity bills, delivering tailor made accommodation packages that suit the needs of each client. We make booking apartments easy, with a hassle free, flexible service managed by our well trained, knowledgeable reservations team. Chennai StayZ with experienced consultants will take the time to understand your requirements and work in a way which suits you best. We’ll work within the budget you set, speed up the booking process but never compromise on our service levels or the accommodation on offer. With the economy booming and IT and ITeS sectors being in demand, a growing number of expat professionals are packing their bags to kick-start their overseas business operations in India. And this is exactly the fraternity that is pushing the growing demand for service apartments in our country. The potential for this market to grow, though the base is pretty small right now, is extremely high, particularly due to the services sector and increased penetration in not just primary, but secondary and tertiary markets as well. The sectors generating this demand are IT, ITes, BPO, KPO, bio-technology and to some extent manufacturing, particularly during new setups, consulting and financial services, infrastructure and telecom. This demand is expected to rise with the projected growth path of the Indian economy, which in turn will increase the demand for serviced apartment and tourism. Another big segment that could start using serviced apartments will be visitors for medical tourism. There could be players who will build serviced apartments next to large hospitals to cater to that kind of demand. People coming in for this purpose have no time limit, as the treatment can take enn number of days, if it is a surgery based one, all the more time consuming, hence, on such occasions, more than hotels, it is the service apartment that comes handy, more space, less money, self use kitchen, wash whenever you like, watch TV as you please, visitors are allowed, no restrictions to timing, live as live at your Home. So it is best to opt for Chennai StayZ, as these apartments are in the heart of the city, easy accessible to hospitals, shops, hotels, temples, markets, bus stands, railway stations, airport and what more do you require? Come to Chennai, and stay in ChennaiStayZ, you will feel the difference. 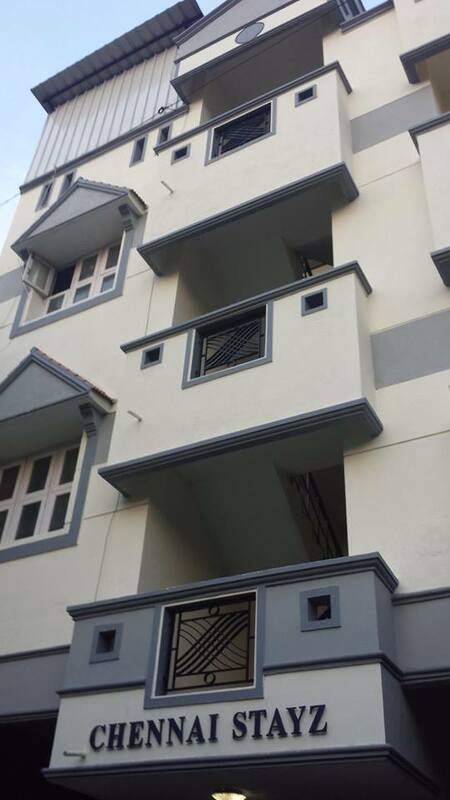 Looking for Services Apartment in Chennai? Its all about feeling at home even when you’re away from home with your own kitchen, dining room, bedroom and laundry. 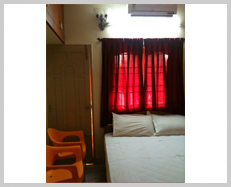 ChennaiStayz Serviced Apartment offers Studio, 1, 2 or 3 bedroom apartments till 8 bed rooms. Each apartment has been spaciously designed with quality fittings. A serviced apartment represents greater value for money and a better place to stay compared to traditional small hotel rooms. 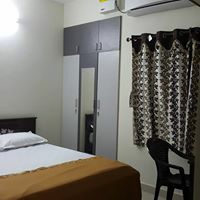 Chennai StayZ provides stylish and spacious serviced apartments. . All our serviced apartments are centrally located close to transport links, shops and restaurants and all offer fully equipped kitchens, flat screen TVs, unlimited free broadband internet and high levels of security and safety. Our 24 hour guest services team will make sure you have everything you need for a comfortable stay, working day and night for your peace of mind. The inherent flexibility of a serviced apartment means you do not have to compromise on any level. Stay in and entertain your guests from a fully equipped kitchen, relax after a long day of meetings, take advantage of the surrounding nightlife – the choice is yours. Often more affordable than a hotel, the value of having your own space is priceless. Whether it’s for a week away with your family, to accommodate one individual in a short-stay business let, or several large groups in corporate housing for an interim contract or business relocation, Chennai StayZ has a serviced accommodation solution to meet your needs. Our dedicated team deliver nothing less than service excellence – from meticulous standards of housekeeping, through to a streamlined reservations process. It’s hassle free. We at Chennai StayZ, offer you a unique home from home environment, including fully equipped kitchens, stylish living areas, broadband – the list goes on! As well as not having to rely on restaurants or room service, there’s also no hotel timetable to stick to; make breakfast when you want, wash your clothes at no extra cost, order a takeaway, invite friends over – it’s just like home! With greater freedom and more privacy than a hotel, there’s no contest.